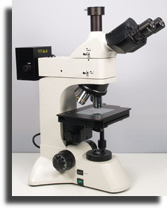 Brunel Microscopes have a range of Metallurgical and Polarisation, microscopes to suit all budgets and at a specification normally found on much higher priced instruments. You can select any of the models below for full details. The Brunel SP-200-XM with x4, x10, x40 and x60 plan objectives. SP95M trinocular inverted with 5 long working distance plan objectives. 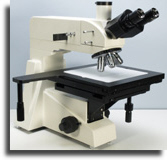 SP600M a large industrial size trinocular with a large gliding stage for screening. 5 long working distance plan objectives. Available in bright field and bright/dark field options. The Brunel SP80 metallurgical trinocular with plan objectives. The Brunel SP400 series are quality metallurgical imicroscopes with a range of illumination options and are available either with incident, incident and transmitted or brightfield transmitted and brightfield/darkfield incident illumination . Infinity plan objectives. 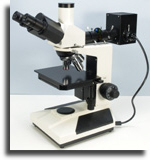 The Brunel SP105M inverted is a modern style quality metallurgical imicroscope available with bright field or bright/dark field plan infinity objectives of excellent quality objectives. Side port CCTV and photography system . 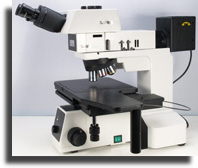 The Brunel SP900 is our flagship incident light metallurgical microscope. 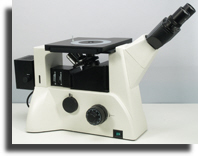 This is a large foot print instrument with superb plan infinity bright and dark field ojectives and an intelligent halogen illumination system. Very large mechanical stage with gliding override. 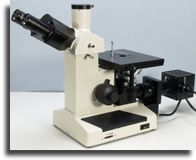 The Brunel SP110M is the latest model to be introduced to our series. 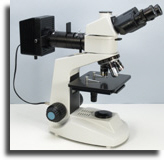 It is ideal for the inspection of surfaces and items such as electronic circuit boards. Bright/dark field infinity plan objectives. Polarisiation.